Every game of Galactic Civilizations is different. The original tagline was: “Never the same game twice.” It isn’t that the game is randomized as much as it is that each game is designed to be carefully imbalanced in a way that tries to push the player into avoiding well-worn strategies. 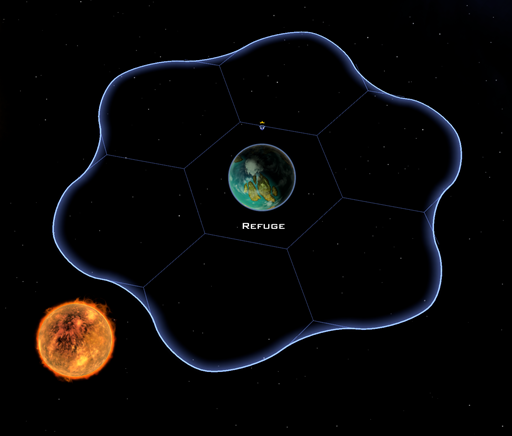 Most of the benefits of version 3 will be coming to those who already have Crusade because it provides so much to build off on with its citizen-based economy and planet-based resource system. However, even the base game will see a lot of love and care towards making every number in the game feel right. One of my favorite things about Galactic Civilizations is the fan community. Give player lots of generic ship parts, and they can turn them into amazing things. 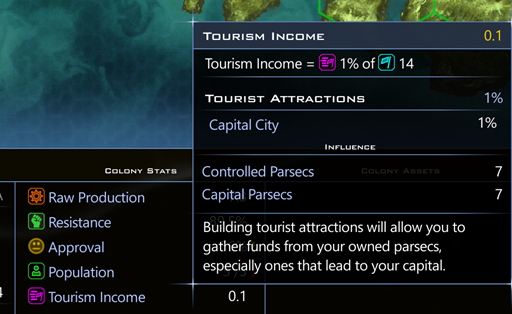 I frequently subscribe to fan-made ship styles and then create my own civilizations that use them. 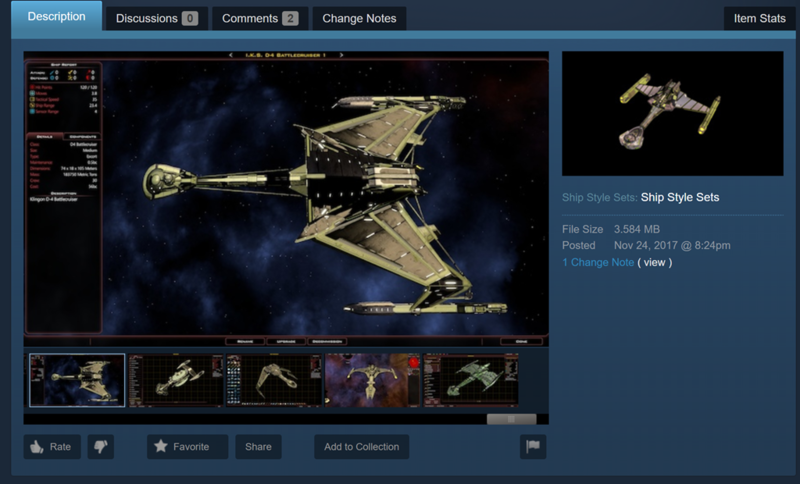 As a fan of Sci-Fi, I can only dream of the day our games reach such critical mass that fans attempt to bring our ships over to other venues to spread the Drengin throughout the Sci-Fi universe. 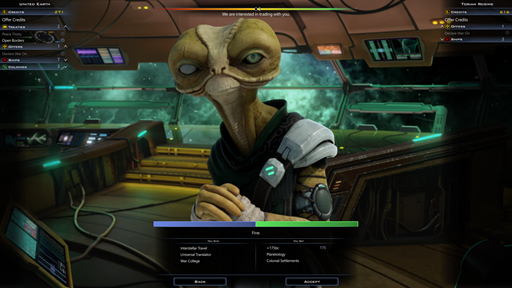 In my v3 test game, I’m playing against canon species from the Galactic Civilizations universe, plus races created by fans. In doing so, I’ll show you some of the changes in v3 that you might appreciate. Early on, my homeworld’s influence is a total of 7 tiles. My capital city converts 1% of my total influenced tiles + a bonus of the number of tiles connected to my homeworld (14) into money, which right now is a pidly 0.1 credits per week. But I am very happy with my start. That +3 to research on my homeworld more than makes up for the fact that I didn’t actually start out with any food on my home planet. On week 4, I see multiple good planets. However, they require some techs to colonize. This isn’t a new concept in Galactic Civilizations. What is new is having a lot more planets require techs, and distributing these technologies throughout the “tech tree” so that they can be reached much earlier. 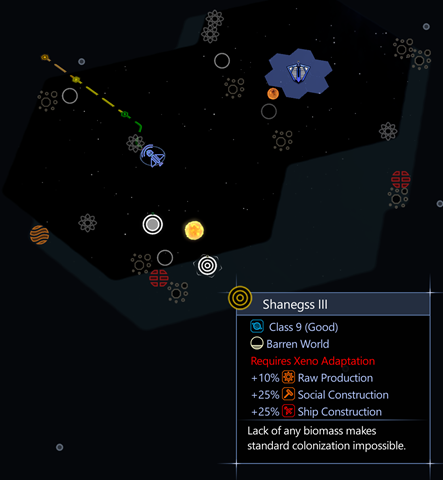 A class 9 planet (9 = number of usable tiles on the planet). Do I go for Xeno Adaption instead of military techs? 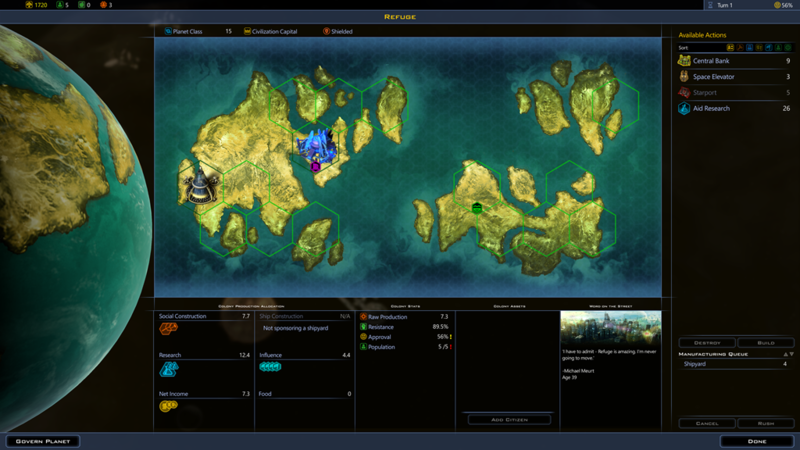 If you’ve been playing strategy games for awhile, you know that diplomacy AI is often the Achilles heel. As a recovering AI exploiter who has written AI for going on 30 years now, I’m very passionate about this issue. Many of our updates focus on AI improvements, because that’s what gives the game longevity. 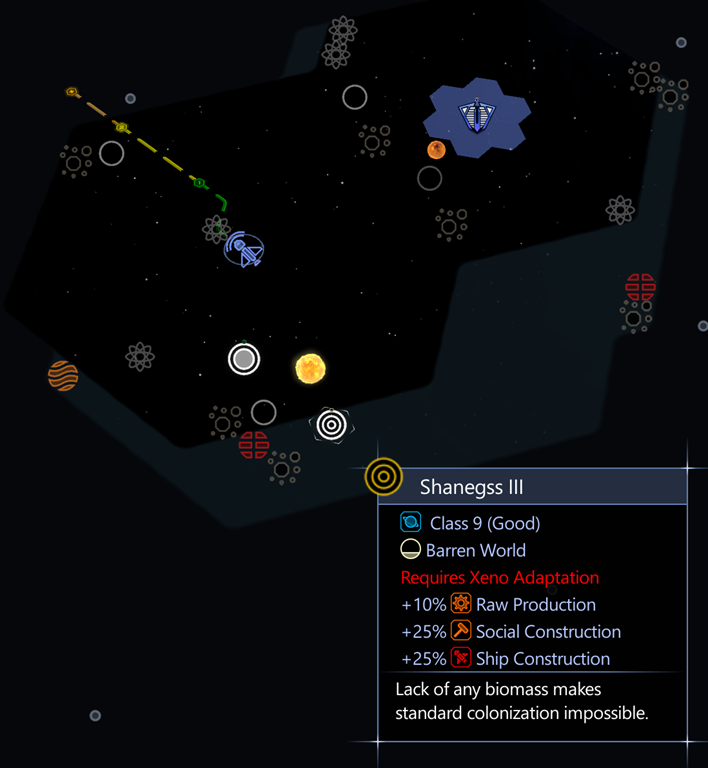 Version 3 even improves the resource trading so that it handles it fairly intelligently. This has forced me to adapt other tactics for when I’m losing, but it’s a small price to pay. Version 3 adds a tax system. You can sacrifice public approval for money. Even if you only have the base game, you now have this option. A full balance pass has gone through to give players more control over the pacing of different aspects of the game. I am somewhat at an equilibrium with this. These new push-pull influences on my civilization encourage me to not get into a “build order” rut and re-defines what it really means to have a good start. Galactic Civilizations III v3 is due out this Spring! Visit www.galciv3.com to learn more. Looking Good. 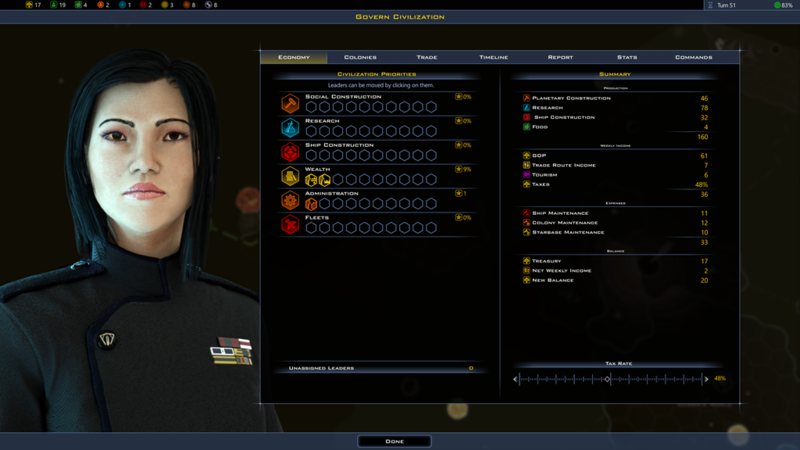 Im looking forward to the new colonization variance more so than the new government options. Super excited. Been playing 3.0 beta and enjoying it. Eager to jump into 'Intrigue ' . Hope the wait isn't much longer! Can I opt in to v3 beta?